Welcome to our website and thank you for considering our professional locksmith services for your upcoming locksmith project or emergency locksmith request! LockTech24/7 is a family owned and operated mobile locksmith company. We provide professional locksmith services throughout the Lehigh Valley, Pennsylvania, as well as the surrounding areas. Our technicians are available 24 hours a day, 7 days a week. Not only do we provide professional locksmith services, but we also provide the finest in security results. LockTech24/7 offers premier auto locksmith, commercial locksmith, and residential locksmith services. We lead the locksmith industry in Allentown, Bethlehem, and Easton, as we provide solutions for any problem concerning lock and key. Not only do we have high-quality products and a wide range of professional locksmith services, but we also focus on customer care. Our locksmiths are driving work trucks stocked with all necessary security hardware, machines, and advanced tools. This approach allows us to complete jobs in a timely and efficient manner. We are able to accomplish all your locksmith requirements in a fairly short timeframe. Can you imagine life without a locksmith? What would you do if you locked yourself out of your home? Think about the moment when the key has broken inside your lock. You are upset and frustrated. It’s after midnight, and you’re waiting under the cold breeze of the night. Who is here to help? No one in your family is around to help, and your neighbor is fast asleep. The police can’t help without damaging your door, so they advise you to call a locksmith! For emergency situations such as this one, we are your best local locksmith company, LockTech24/7. Our local locksmiths are always available to help you at the time you need us most. We will be there for you to solve all your locksmith needs, offering the best and cheapest professional locksmith services and locksmith solutions. We do it all, automotive locksmith, residential locksmith, and commercial locksmith. We are your local locksmith company in Allentown, Bethlehem, Easton, and surrounding areas. Name the city you’re located in, and we will be there within 20 minutes of your first call. Please remember, it doesn’t matter where you’re located in the Valley, just call us any time you need a fast locksmith service. Most people only think of a locksmith when they lock themselves out of their car, or their home. There are a lot of other professional locksmith services LockTech24/7 can do to improve the security of your property. LockTech24/7 provides 24/7 emergency locksmith services in Allentown, Bethlehem, Easton, and the greater Lehigh Valley, and surrounding areas. We can handle any lockout situation, and we’re here for any emergency locksmith needs. Whether you lock yourself out, need a broken key extraction, lock repair, or lost your car key, we’re here for you. LockTech24/7 provides 24/7 automotive locksmith services for customers who need immediate lockout assistance, to replace a lost automotive transponder chip key, or repair / replace an ignition lock. We are here for you day and night, whenever and wherever you need us in the Lehigh Valley. Please contact us now for fast service. LockTech24/7 provides all type of Residential Locksmith Services to residents in Allentown, Bethlehem, and Easton, Pennsylvania. We offer premium security products and locksmith services at an affordable price. All of our solutions are customized specifically for your property, requirements, and budget. LockTech24/7 provides Commercial Locksmith Services to business owners in the Lehigh Valley. We specialize in all type of commercial locks, push bars, electric strikes, and key-less entry systems. We know how important it is to your business to keep your assets secured, and your staff safe. When you need a commercial locksmith, please call us. Call us for a quote. We’re available 24 hour, 7 days a week, 365 year round. We are happy to assist you, as well as happy to solve your lock and keys related problems. Emergency, Automotive, Commercial, and Residential Locksmiths. While we have an extremely fast response time to any emergency situation, it’s important to remember that we can also schedule an appointment. You can get any locksmith service you need at the time that is most convenient for you. Once you’ve experienced our prompt response and customer service, you will never look for another locksmith company in the Lehigh Valley. As you see above, we can help with any locksmith service you may need. This includes; automotive locksmith, commercial locksmith, and residential locksmith services. When you choose LockTech24/7, you choose the right company to secure your home and your business. You choose the right company to get you back on the road as quick as possible. You can be sure that you will experience excellent customer service at the best price in the Lehigh Valley. Since we have the fastest response time around, you won’t be waiting long to experience excellent locksmith services. You can be assured that your locksmith issue is taken care of by the best locksmith company in Allentown, Bethlehem, and Easton, PA.
We are only one phone call away. LockTech24/7 is your one-way solution for all your locksmith needs! LockTech24/7 is fully licensed and insured to protect you and your property. 24/7 Emergency Locksmith Services in Allentown, PA.
It’s important to remember that we cover everything from a quick lockout service to re-keying or replacing locks, cutting and programming car keys, repairing or installing a new push bar/panic bar, electric strike systems, key-less entry systems, and more. Our locksmith technicians are the experts you need in order to get a quick locksmith service in the Lehigh Valley. Our locksmiths can offer superior security when you need high-security locks, as well as CCTV camera system. Do not hesitate to call us instead of waiting a long time for a locksmith. 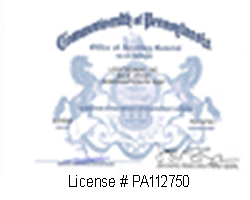 Why call another locksmith in Allentown PA, wait a long time and pay a higher price? 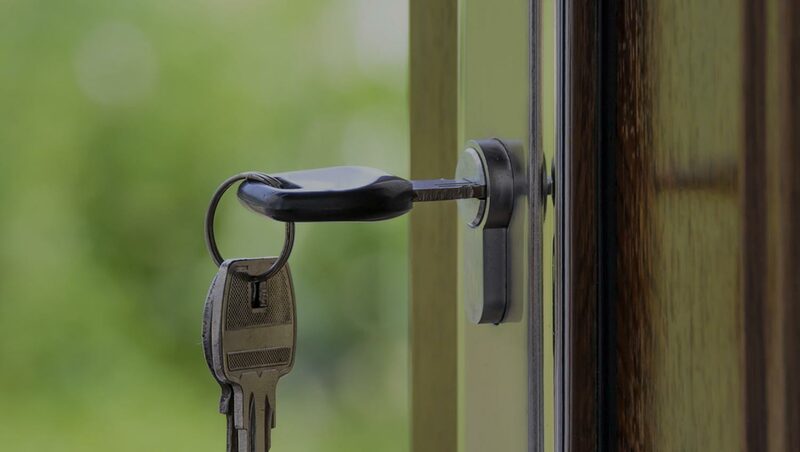 We are your local locksmiths in Allentown PA.
24/7 Emergency Locksmith Services in Bethlehem, PA.
Our locksmiths are available, any time, day or night. As a matter of fact, we’re working on sunny days or cold and snowing days. We are here 24 hours a day, 7 days a week, offering emergency and scheduled locksmith services at no extra cost, day or night! Your Bethlehem PA locksmith is near you, whether you need to replace a lost car key, re-key lock in your home or your business, or repair a push bar on the rear door of your office. This is not true! Our rates are the same, day or night, weekends or holidays. And we’re happy to make an appointment with you that fits in your busy schedule. 24/7 Emergency Locksmith Services in Easton, PA.
Our locksmiths are also available in Easton PA. You can call us any time, day or night. In addition, we also cover Palmer, Wilson, Fork Twp, and Tatamy, PA. Wherever you’re located around Easton, we can help within 20 minutes. With this in mind, you can call us for anything from car, house, or business lockout to lock repair, re-key, or replace, as well as auto keys made on site, and ignition lock repair. Call our Easton PA locksmiths whenever you need fast and reliable mobile locksmith service. If you would like to schedule an appointment, feel free to fill out the contact form at the bottom of this page, or simply call us now.